There has been some discussion about whether it is preferable to refer to a BSV economy or BSV “community.” It turns out that we can probably have both, at least while numbers are smallish (in terms of activity on social media anyways). Something something Dunbar’s number. …are a riot. 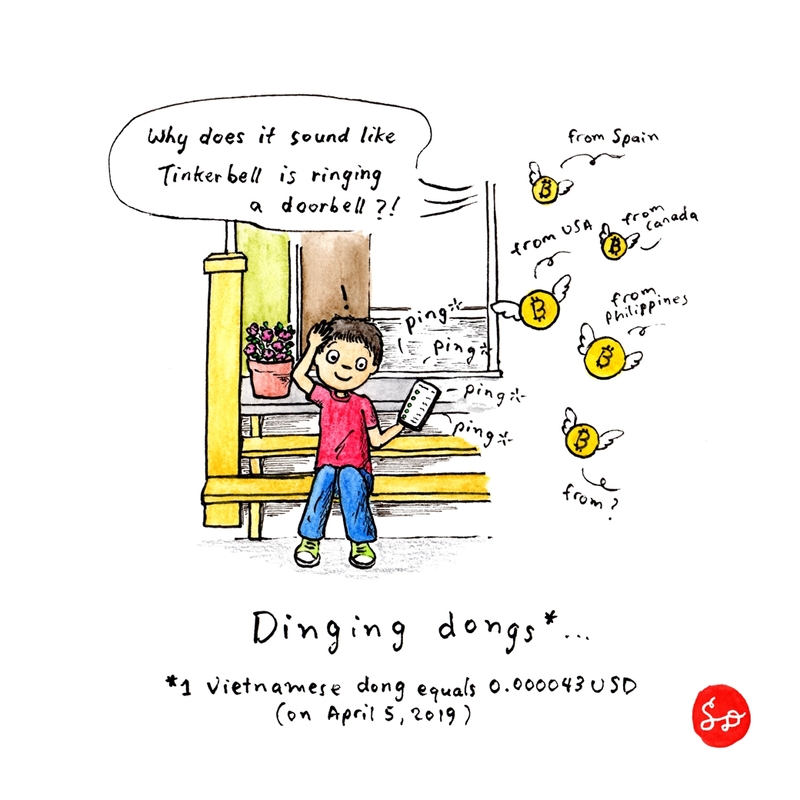 Their enthusiasm for Bitcoin (and its potential) is infectious and the show has birthed the silly but memorable phrase “dinging dongs” or #dingadong, in reference to tipping new users of the Handcash wallet with welcome gifts of BSV denominated in Vietnamese dong (several hundred dong equalling a couple of cents, basically a micropayment, a.k.a. “dust” and sometimes even dollar amounts). It’s like a community initiated manual faucet, sending bits of cash via handles from peer to peer. Some people have managed at times to automate sending of BSV to handles as well. Is this a new cultural “rite of passage” or “initiation ritual” for Bitcoiners, just like the faucets and sharing from the old days? The welcome wagon is usually called on Twitter, as a referral of sorts from a community member who has usually earned some level of trust and is helping to onboard a new user of Bitcoin (SV). The most delightful sensory aspect of this process might be the satisfying “ping” (or “ding” or “ka-ching”, depending on your ears) noises that occur when a Handcash transaction arrives in a wallet. This post is not a paid endorsement of the Handcash wallet, but when the product is loved by its users, its merits tend to spread organically!